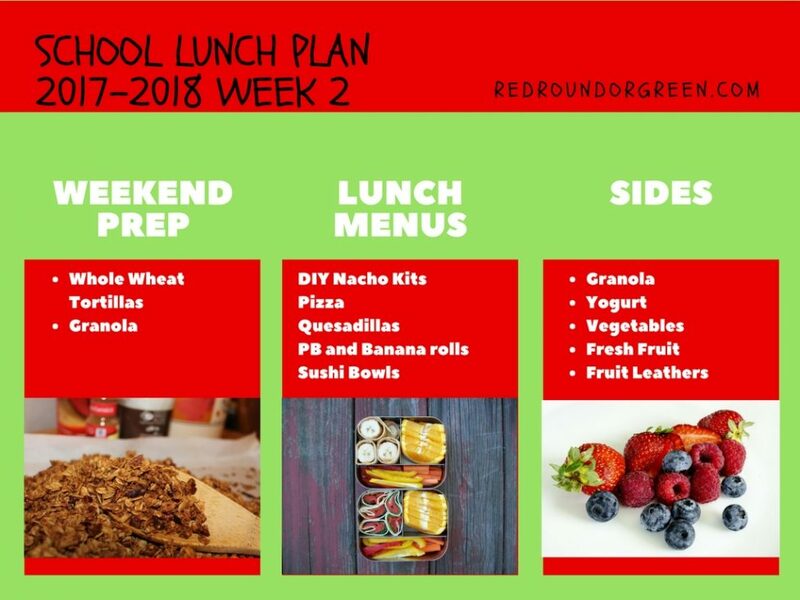 This week’s school lunches are what I call easy-peasy. There’s going to be minimal prep involved, and heavy reliance on simple, kid-friendly menu choices that will all but guarantee the boxes come home empty. As always, you can change things up and streamline the prep work for yourself even further by choosing to buy rather than make some of the items. I like homemade tortillas and don’t find them overly time-consuming to make, but when I know I won’t have extra minutes, I buy them — and you should feel free to do the same! Homemade granola is another item that’s fairly quick and easy, but again, you can omit it, buy store-bought, or substitute granola bars, cereal bars or some other similar choice that your kids prefer. None! This week is super-simple.